Chevrolet Canada has announced fuel efficiency ratings for the 2017 Cruze Diesel Sedan, which manages a highway fuel consumption rating of 4.5 L/100km (53 mpg)—the best rating of any non-hybrid vehicle in all of North America. The 2017 Cruze Diesel Sedan efficiency is thanks to a new Ecotec 1.6-liter inline four-cylinder turbo-diesel engine, which yields an SAE-certified 137 horsepower (102 kW) and what is expected to be segment-best 240 lb-ft of torque (325 Nm). 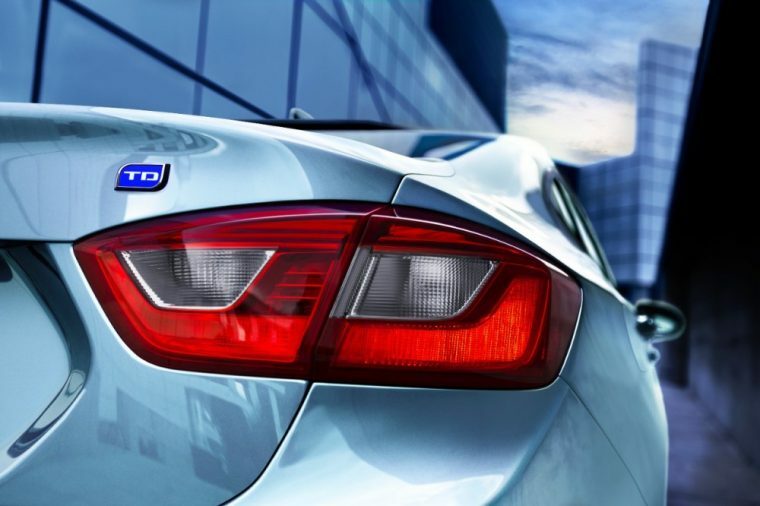 The Cruze Diesel was able to pass all US environmental standards, including Tier 3 Bin 125 emissions standards. Cruze Diesel Sedans will have a choice between either a standard six-speed manual or a new, available Hydra-Matic nine-speed automatic transmission with fuel-saving stop/start technology. The six-speed manual model delivers a city rating of 7.7 L/100km, resulting in 6.3 L/100km combined. The nine-speed automatic Cruze Diesel manages a rating of 7.6 L/100km city rating, 5.0 L/100km highway, and 6.4 L/100km combined. Standard connectivity features include OnStar with 4G LTE connectivity with built-in Wi-Fi hotspot and Android Auto and Apple CarPlay compatibility through Chevrolet MyLink. The 2017 Cruze Diesel Sedan carries a starting price of $24,195, plus a $1,600 destination freight charge. The Cruze Diesel Hatch will be launched later this year as a 2018 model.